What can I say? We did it again for the 3rd year in a row. Went to Hebert’s in Tulsa, otherwise know as Cajun Ed’s and bought a large turducken for Thanksgiving. Yes, they come in sizes. Also, someone pointed out that the first four letters don’t sound so tasty when I posted this picture on Facebook. I have VERY observant Facebook friends. The good news, it was the best tasting one ever and because it’s nearly boneless, you can eat darn near every piece of it. The bad news, it was more expensive than ever coming in at a whopping $92.19 with tax. Jeeze Louise!!! I never really knew what Jeeze Louise meant until they told me the price of this multi-meat bird delicacy. Anyway, unless book sales REALLY pick up in the next year, 2012 may be the last time we break the pig to buy a turducken. Maybe we can just go shoot something for next year, like they did in the old days. Something legal, of course. NaNoWriMo is almost over. A month of concentrated writing culminating in a 50,000 word first draft. I signed up. I started out strong. I failed miserably! Am I upset? No. I learned something about myself. I am not NaNoWriMo material. It’s not that I don’t really have the time. It’s not that I don’t have ideas. I lack discipline. Plain and simple. Writing is hard work for me. Very rarely do the words flow from me like a river. It’s more like getting blood taken at the Doctors office. With my small veins, I usually get stabbed in each arm before they have a go at the backs of my hands where they (hopefully) get a slow stream of vital fluid flowing. Yeah, that’s a very good description of how I write…painfully, torturously slow. You don’t even want to know how long it’s taken me to get this far! 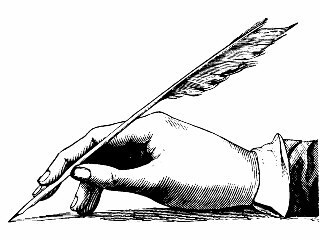 It’s not that I don’t like writing. But I have to admit, I would much rather “have written” than “be writing”. There are lots of other things that I like doing better. So many ways to be distracted. I confess, sometimes I go looking for distractions. They aren’t hard to find. Life is full of them. Despite all the distractions and lack of discipline, I do still get some writing done. I managed to write 4,000 words before I threw in the NaNoWriMo towel. I know, it’s not much, but it got me working on a story idea I had shelved and I am 4,000 words closer to the end of that story than I was before. NaNoWriMo hasn’t been a success but it hasn’t been a total waste of time either. I’ve learned about myself which is always a good thing. Will I try again next year? Probably not. There are some distractions that I refuse to let my writing distract me from. It does make me realize that I need to try harder to squeeze in a little writing time though. Discipline. That’s what I need. And before I get any offers from all you freaks out there, I’m talking “self” discipline. No, you can’t watch. Move it along, there’s nothing to see. I just gotta make myself sit, open file, think, write. Sounds simple enough, right? We shall see. I’ll get back to you on that. In 1897, using the letters and journals of Jonathan Harker and Mina Murray-Harker, and those of their dear friends, Irish born author Bram Stoker published the major events of tale in his book “Dracula”. When it was first published, in 1897, Dracula was not an immediate bestseller, although reviewers were unstinting in their praise. Most of Victorian England felt it was simply a good yarn, but had they known it was not a work of fiction, but in fact an accurate account of real events, who knows the outcome. Perhaps Mr. Stoker was convinced by those involved; Jonathan and Mina, Dr. John Seward, Arthur Holmwood, Quincey Morris, and Professor Abraham Van Helsing, that the world was not yet ready for the truth behind the tale. They kept one final piece of the story to themselves without sharing its secrets. It has been kept in a vault unseen these many decades until now. 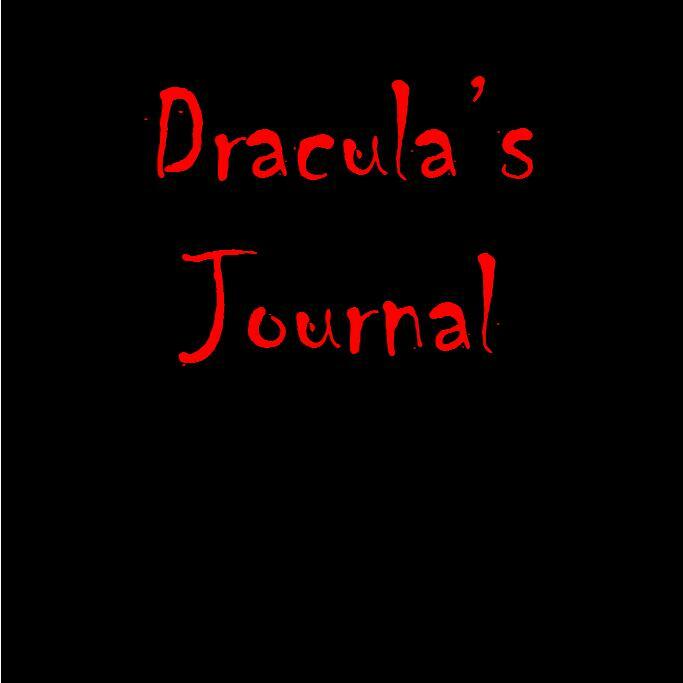 Presenting an audio presentation of….”Dracula’s Journal” written by Jim d. Jordan and performed by The Tulsa Area Writer’s Workshop’s own Jim Jordan and Wendy Matchen. This 2-CD audio book is available for only $7.00! Contact Jim or Wendy here at T.A.W.W. or pick up your copy at the next group meeting! What is an ISBN and Why Does My eBook Need One? The ISBN (International Standard Book Number) is a unique 13-digit code assigned to your book to identify it amongst all the others in the digital marketplace. Retailers use these codes to track and report sales. Every book — physical or eBook — is required to have its own number if it’s made available for sale.In fact: If you’ve already published your book in physical form, you’ll need another ISBN for the electronic version. R.R. Bowker is the official agency in charge of assigning and maintaining these numbers in the US. For other countries you can find your local agency here: http://isbn-international.org/faqs/view/17. Publishers and authors can buy blocks of their own numbers. A self-published author can buy just one ISBN for $125. BookBaby.com sells ISBNs for $19 each! I watched Dr. Oz on TV today. It’s not something I normally do. I have no idea where it is filmed. Wish I knew. All his audience got lots of cool free stuff today. I’d like to have some of it. But, on the Dr. Oz show, he said we could go to his website and ask questions. Yeah, right. Only if they are standard questions with pre-selected standard answers. Nothing personal. So, I decided, I’d look on the internet for some type of “ask the doctor” site. Found it. Asked my personal question. Got an answer right away from Dr. Abby. She said she would gladly help me, my problem was right up her alley. It was in her area of expertise. Awesome. Except —- I had to send her $35 before she would answer. WHAT???? It’s the fricken internet. I just need an answer to a fricken question. I am on Social Security – ergo – no money. I have no insurance (can’t afford it). I’m too young for Medicare. 2 more years. So, if I can’t afford to go to my own doctor, how the bloody hell am I supposed to come up with $35 for one fricken question? The question? Sleep! Or rather, how can I obtain this illusive state? I have had insomnia for so long, I can’t remember when last I had a decent night’s sleep. I’ve tried so many over the counter sleep aids that it isn’t even funny. I hear of a new one, I’m trying it. At one time, (when I had insurance – and money) my doctor prescribed Ambien. This stuff was awesome. I would sit on the couch, take the pill, stagger to bed, fall in and was instantly asleep. A couple of years later, I got another prescription for it. Only this time, it didn’t work. At all. I’ve tried white noise, one of those machines that give you the choice of the sound of crickets, or waves pounding on the beach. or…yeah, a sound machine. Nope. Doesn’t work. I even drank a half a bottle of champagne. That didn’t work either. I take a dose of Ibuprofen to make sure there are no little aches and pains, but still just lie there tossing and turning. Most times it’s dawn before I finally drop off. Right before the alarm goes off. I walk around all day like a zombie. I’m exhausted all the time. Too tired to do what needs to be done. Exercise? Are you out of your mind? I can barely lift my feet up to walk, let alone try to exercise to prissy, perky, Miss Perfect Size 3 cheerleader training videos. I’m so tired that it takes my eyeballs a few seconds to catch up with my head when I turn it. It’s like watching a bad film, only it’s my eyeballs moving in slow motion. Not fun. My husband used to sit in his recliner, kick it back and in 3 seconds flat his snores could drown out the landing on D-day. Not me. I kick back and instantly see that I need to paint the ceiling. Oh geeze, the curtains are dusty. Hey, is that a spider spinning a web in that corner? Once I get to sleep, which is rare, I’m up and down. A 63 year old bladder likes to wake me up to go empty itself. Can I have a bladder transplant? I’d like one of a 20 year old nurse…not make that a nursing student. Those chicks are on call ALL the time. No time for potty breaks. Then, maybe I could sleep without having to wake up to use the toilet. Plus, every time I turn over, I wake up. My pillow gets hot, I wake up. The dog walks into the room to check on me, I wake up. I’m about to make love to Gerard Butler, I wake up. Oh, that was a dream. But I didn’t get to complete it. How sad is that? Well, it’s after 3 in the AM. I’m beat. Gonna try that sleep thing again. Wish me luck.